"How do you make a surprise inside cake?" The answer I gave was that I have five favourite Surprise Inside Cakes created by cakers around the world who have all generously put their tested recipes and step by step instructions on the oh so resourceful world wide web for free. 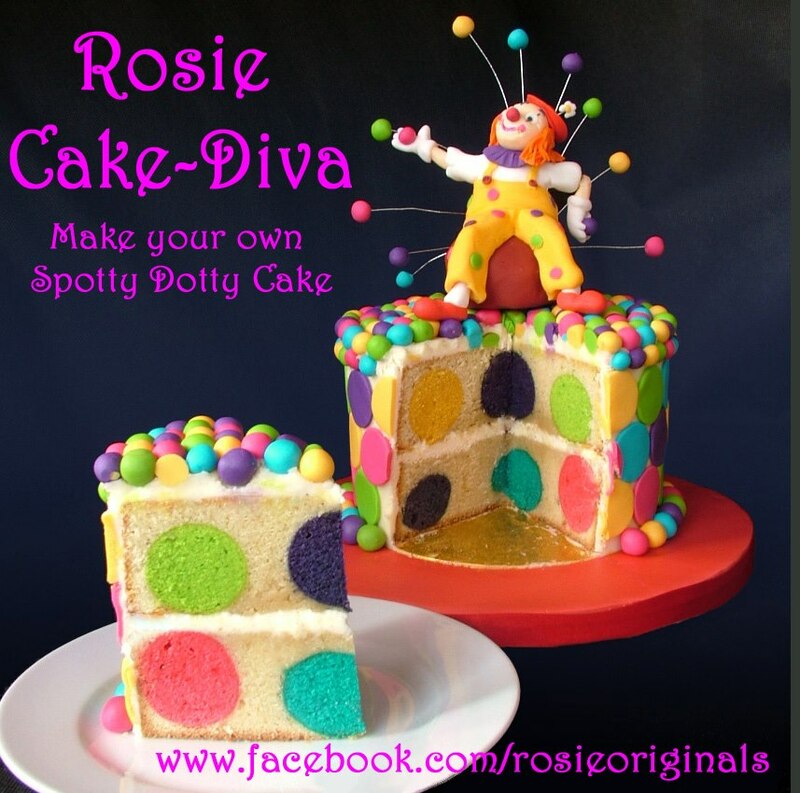 I have to say, the first time I had ever come across a Surprise Inside Cake was when Rosie Cake-Diva filled our newsfeeds with her Spotty Cake Tutorial. Before these images of brightly coloured balls surprising us inside when the cake is sliced, I had never seen any type of shapes in a cake before. As my cake obsession continued to grow, I discovered quite a few different versions and some with even more complex designs! 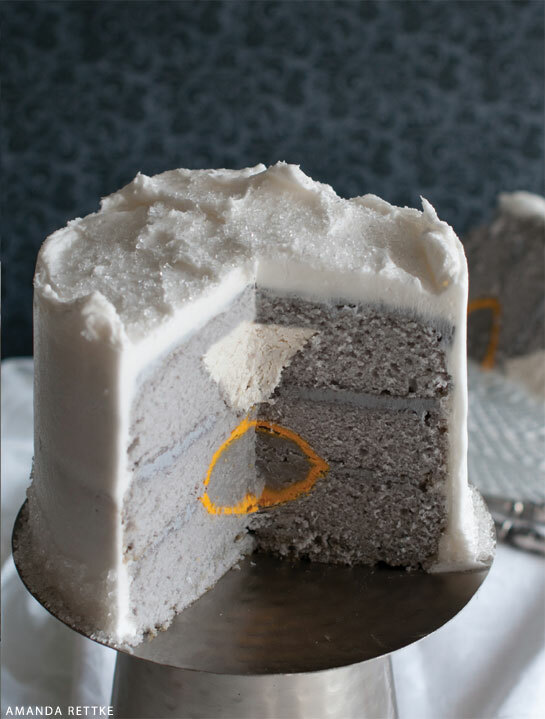 Surprise Inside Cakes, certainly get the ooooooh and ahhhhs that most home bakers love getting when someone appreciates their baked with love cake. So lets review the top 5 tutorials on the web that can be easily made at home! The most comprehensive tutorial I have found. Complete photo step by steps and original cake batter recipes that are thick enough to accomplish the best results. I would recommend using Rosie's batter recipes for any other designs you may get creative with. This Design certainly grabs the attention of many parents. 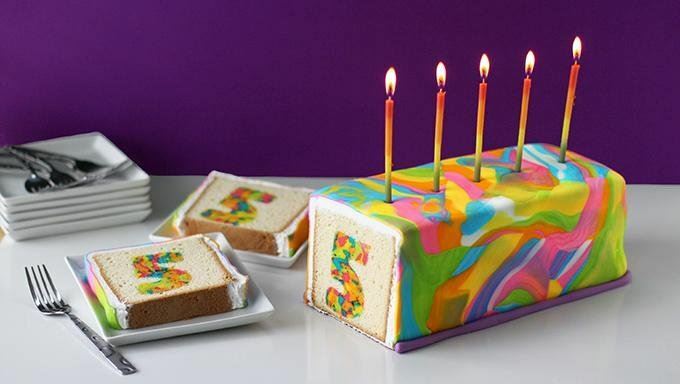 What an absolutely fun way to celebrate your childs birthday with a number inside. Hungry Happenings as a great step by step photo tutorial using store bought cake mixes and colours. Brilliant and easy to follow tye Dye technique. A great visual photo tutorial as to how this home baker cut and assembled her hearts to create this Surprise inside Heart technique. There isn't an actual recipe to follow but excellent cut out and assembly directions. Another great Cake from Hungry Happenings. 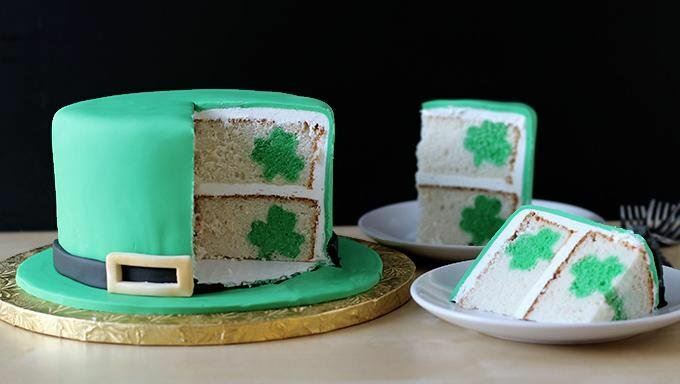 Easy to follow visual instructions to create the Four Leaf Clover inside the cake. 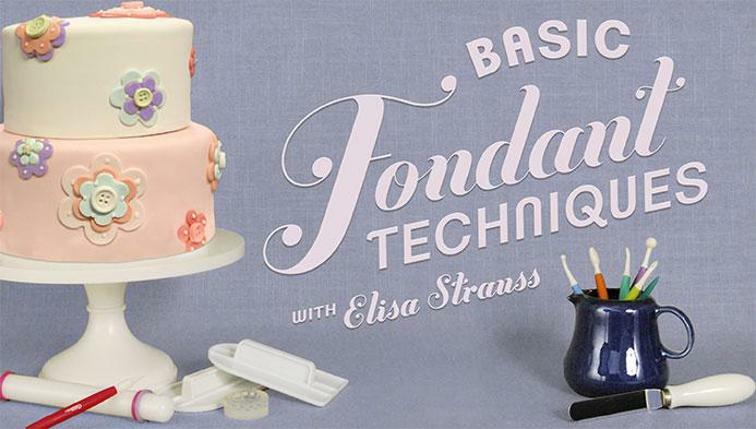 Also includes instructions on stacking and covering with fondant. A fantastic tutorial. 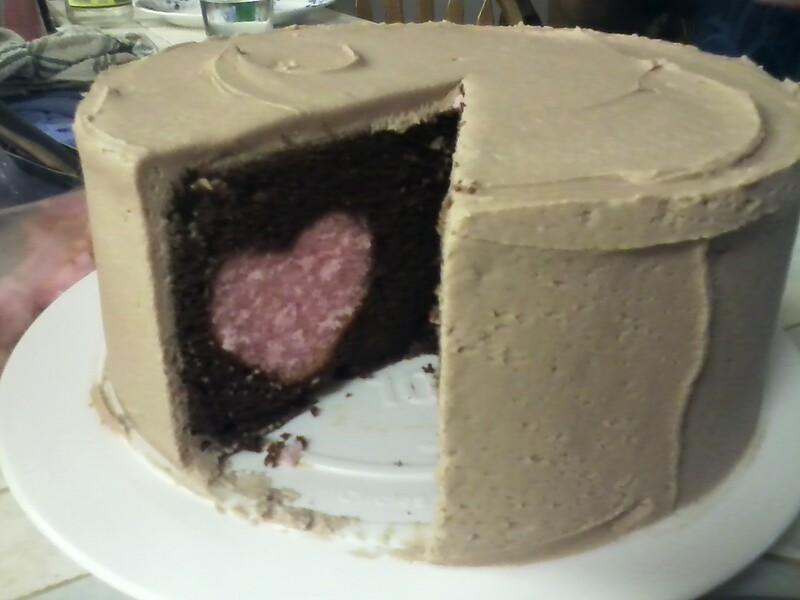 Here, I am a Baker's Amanda Rettke is featured on The Cake Blog, with one of her many Surprise Inside Cake Recipes. This one is different to the others as there is no pre baking of the Ring inside. Certainly an easy recipe to follow. Amanda has also published a book "Surprise-Inside Cakes: Amazing Cakes for Every Occasion--with a Little Something Extra Inside"
Aren't they amazing? Definitely the kind of cake that really adds the wow factor to your baking!! I really enjoyed reviewing these recipes I hope that you enjoy visiting each one and giving them a go yourself!